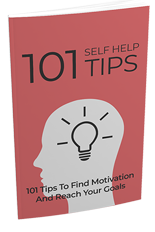 A Comprehensive Handbook Full of Tips to Help You Find Your Motivation!" Do you tend to set lofty goals, but quickly lose motivation to work toward them, ultimately abandoning them when you face challenges? Do you lack the motivation you need to reach your goals? Do you wish you have more self-discipline? Do you want to change your mindset, so you can finally accomplish your goals, but don't know where to start? If you answered yes to any of these questions, then the problem may be a complete lack of motivation.